I’ve been cleaning up some of my old test code for running Ogg media on iOS, adding WebM support and turning it into OGVKit, a (soon-to-be) reusable library that we can use to finally add video and audio playback to our Wikipedia iPhone app. 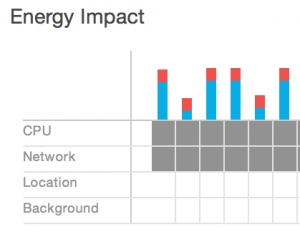 Of course decoding VP8 or Theora video on the CPU is going to be more expensive in terms of energy usage than decoding H.264 in dedicated silicon… but how much more? Whoa! That’s a little overwhelming. What’s actually going on here? 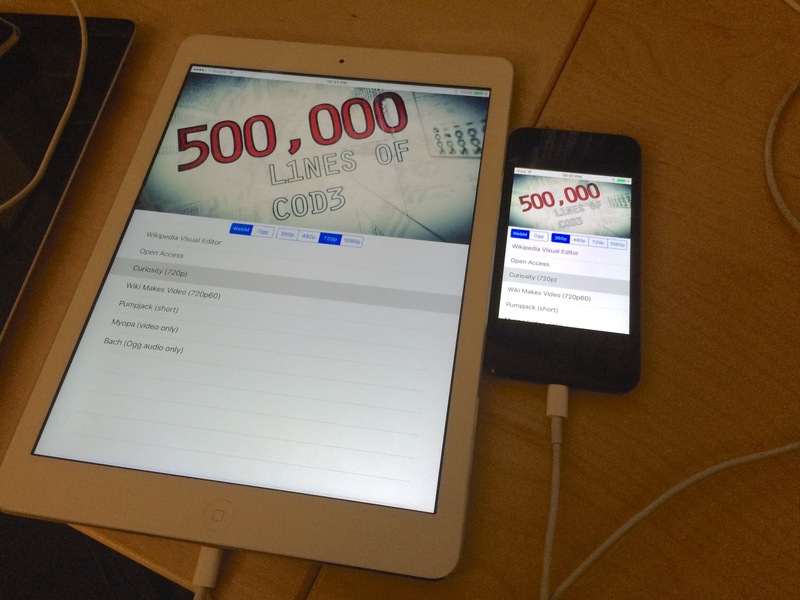 I’ve got my OGVKit demo app playing this video “Curiosity’s Seven Minutes of Terror” found on Wikimedia Commons, on two devices running iOS 9 beta: an iPod Touch (the lowest-end currently sold iDevice) and an iPad Air (one generation behind the highest-end currently sold iDevice). This however is because in addition to media playback we’re buffering umpty-ump megabytes over HTTPS over wifi — as fast as a 150 Mbps cable connection will allow. Once the download completes, the CPU usage from SSL decoding goes down, the wifi reduces its power consumption, and our energy usage relatively flattens. Now what’s the spot-meter look like? See approximate reported energy usage levels for all transcode formats (Ogg Theora and WebM at various resolutions) if you like! Ogg Theora is a little faster to decode but WebM looks significantly better at the bitrates we use. Ok but how’s that compare to native H.264 playback? Good question. I’m about to try it and find out. The native AVPlayer downloads smaller chunks more slowly, but similarly shows higher CPU and energy usage during download. 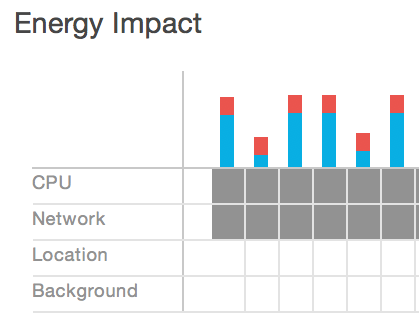 Once playing only, reported CPU usage dives to a percent or two and the reported energy impact is “Zero”. I suppose I’ll have to rig up some kind of ‘run until the battery dies’ test to compare how reasonable this looks for non-trivial playback times… but the ‘Low’ reportage for WebM at reasonable resolutions makes me happier than ‘Very High’ would have! I’ve been passing the last few days feverishly working on audio/video stuff, cause it’s been driving me nuts that it’s not quite in working shape. TL;DR: Major fixes in the works for Android, Safari (iOS and Mac), and IE/Edge (Windows). Need testers and patch reviewers. The ogv.js decoder/player has been one of my fun projects for some time, and I think I’m finally happy with my TimedMediaHandler/MwEmbedPlayer integration patch for the desktop MediaWiki interface. I’ll want to update it to work with Video.js later, but I’d love to get this version reviewed and deployed in the meantime. Please head over to https://ogvjs-testing.wmflabs.org/ in Safari 6.1+ or IE 10+ (or ‘Project Spartan’ on Windows 10 preview) and try it out! Particularly interested in cases where it doesn’t work or messes up. However these get really bad compression ratios, so to keep bandwidth down similar to the 360p Ogg and WebM versions I had to reduce quality and resolution significantly. Hold an iPhone at arm’s length and it’s maybe ok, but zoom full-screen on your iPad and you’ll hate the giant blurry pixels! This should also provide a working basic audio/video experience in our Wikipedia iOS app, until such time as we integrate Ogg or WebM decoding natively into the app. Audio has worked on Android for a while — the .ogg files show up in native <audio> elements and Just Work. But video has been often broken, with TimedMediaHandler’s “popup transforms” reducing most video embeds into a thumbnail and a link to the original file — which might play if WebM (not if Ogg Theora) but it might also be a 1080p original which you don’t want to pull down on 3G! And neither audio nor video has worked on iOS. This patch adds a simple mobile target for TMH, which fixes the popup transforms to look better and actually work by loading up an embedded-size player with the appropriately playable transcodes (WebM, Ogg, and the MJPEG last-ditch fallback). For the future, I’m also working on extending ogv.js to support WebM for better quality (especially in high-motion scenes) — once that stabilizes I’ll rename the combined package codec.js. Performance of WebM is not yet good enough to deploy, and some features like seeking are still missing, but breaking out the codec modules means I can develop the codecs in parallel and keep the high-level player logic in common. 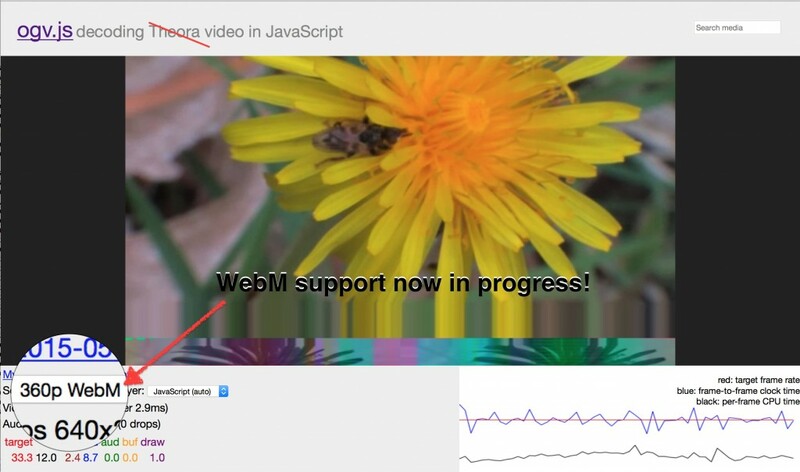 Browser infrastructure improvements like SIMD, threading, and more GPU access should continue to make WebM decoding faster in the future as well. I’d also like to finish up my OGVKit package for iOS, so we can embed a basic audio/video player at full quality into the Wikipedia iOS app. This needs some more cleanup work still. Phew! Ok that’s about it. Been a while since I posted; working on various bits and bobs. Update: Got audio working after some sleep, and playback is more thorough. Yay! Still no seeking yet, and playback may not always reach completion. 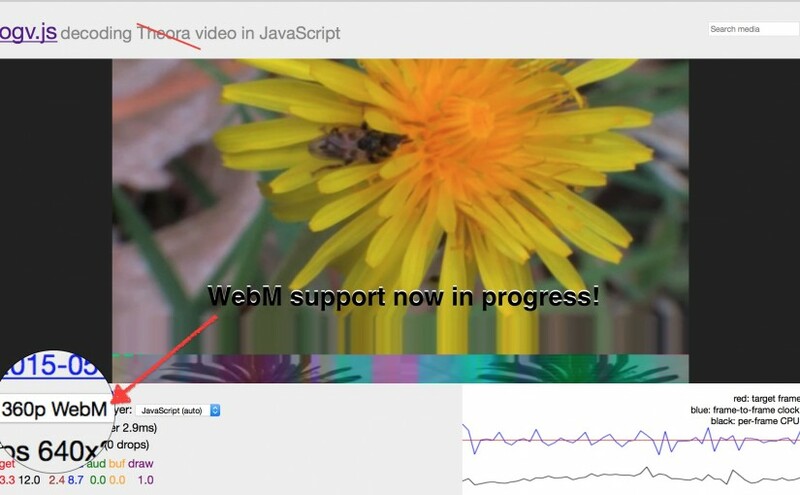 I’ve seen a couple other attempts to build WebM decoders in JS using emscripten (eg Route9), but nobody’s gotten them hooked up to a full-blown player with audio yet. With a little more work on the decoder side, I should be able to leverage all of my investment in ogv.js’s player logic. I’m using nestegg for the WebM container parsing; currently this is giving me some impedence mismatch with the first-generation ogv.js code due to different i/o models. Performance: speed on WebM/VP8 decoding won’t be as good as the Ogg/Theora decoder for now so may not be suitable for mobile devices, but should work fine on many laptop/desktop machines. VP9: untested so far, but should work… though again, likely to be still slower than VP8. Over the last few weekends I’ve continued to poke at ogv.js, both the core library and the experimental MediaWiki integration. It’s getting pretty close to merge-ready! Slow-CPU check is now applied on mobile player — this gets ogv.js video at 160p working on an old iPhone 4S running iOS 7! Fast A7-based iPhones/iPads still get 360p. While we’re at it, Microsoft is opening up a public ‘suggestion box’ for Internet Explorer — folks might want to put in their votes for native Ogg Vorbis/Theora and WebM playback. 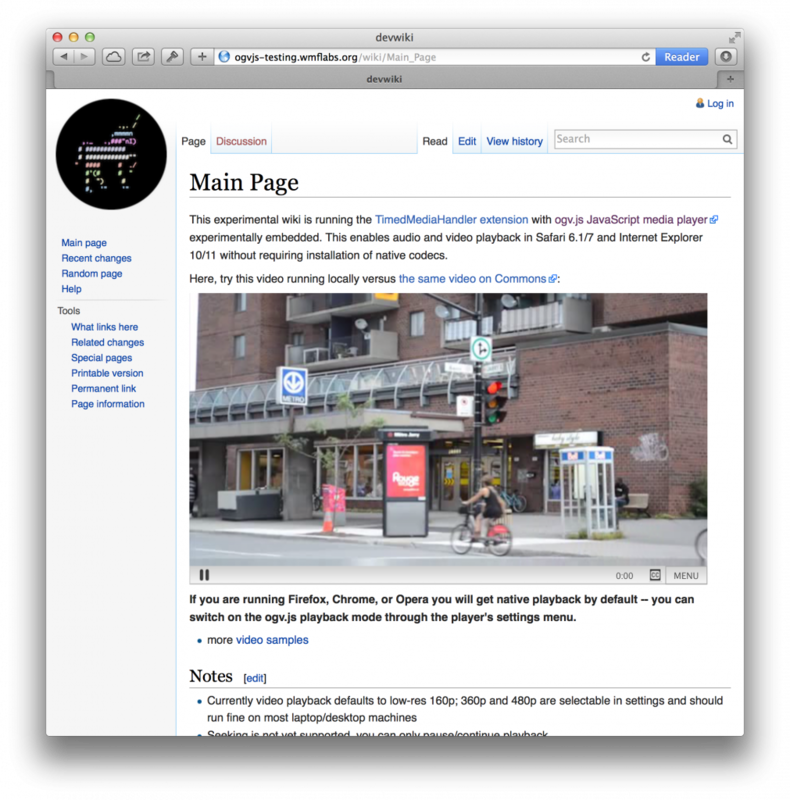 Meanwhile, stay tunedÂ during the week for some demos of the soon-to-be-majorly-updatedÂ WikipediaÂ iOS app! Color conversionÂ is OpenGL ES-accelerated, cutting CPU usageÂ in half when playing video. Audio output actually works, more or less inÂ sync. It turns outÂ the xiph.org git mirrors of theora etc areÂ not being maintained; will switch fetching of library source to SVN. Cache downloaded data on disk instead of RAM! So there’s wide speculation out there that a larger-screened iPhone is coming to compete with the circa-5-inch generation of flagship Android phones. 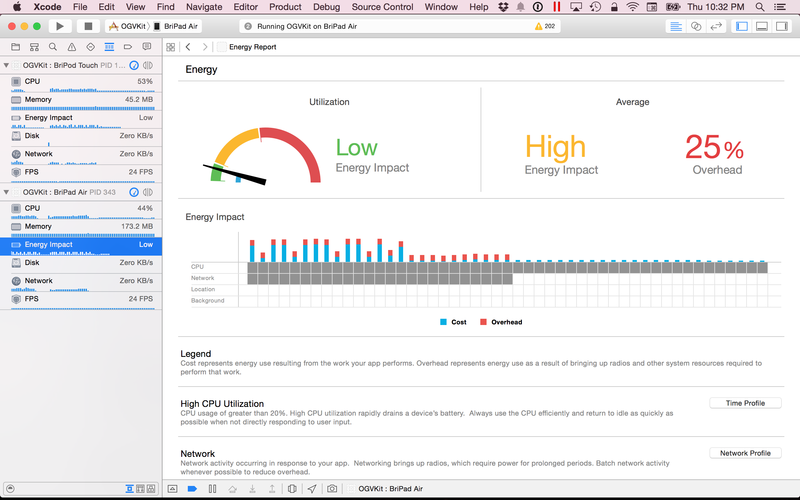 But how would Apple actually engineer such a thing, and what would it mean for web and app developers? There are a few possibilities to my mind, with various trade offs. 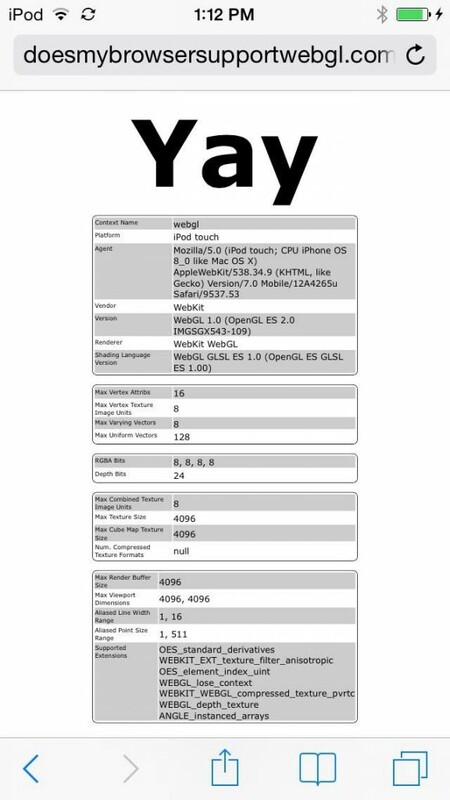 First, note that the iPhone 5 family has a 4″ 640×1136 screen, about 326dpi and using a 2x scale between UI points (aka “CSS pixels”). Software for iPhone had long assumed a 320×480 1x or 640×960 2x display, and when the new screen size was introduced, old apps were accommodated by showing them with black bars to simulate the older screen size. The simplest solution would be to scale up the iPhone 5c/s design and screen by the same ratio as the iPad mini and iPad Air — this gives a 4.8 inch “iPhone 6″ that would have the same pixel density as the full-size Retina iPad. Developers would see the 4″ and 4.8″ devices as equivalent, with no changes needed to code or graphics. But, it might not provide the feeling of additional screen space because on screen elements would become larger to fit. The resolution, while still a respectable 263dpi or so would also fall noticeably short of the current crop of 1080p Android phones at 440+dpi. Another possibility is to stick to the 326dpi density and change the screen’s pixel dimensions, say to 1280×720 at 4.5” or maybe a little higher. This would give more onscreen space, requiring app developers to ensure they handle the different dimensions. Older apps without AutoLayout might be handled by a black screen border like iPhone apps running on an iPad, or they might scale up and be a little blurry. Still another question is whether Apple will follow the dpi race that they started with the iPhone 4’s “retina” screen… Would they make a 1080p phone in the 4.5-5″ range using a 3x display scale to match Android? There’s nothing in the iOS SDK that hints that way to me, but it’s plausible technically. A 3x density scale might handle back-compatibility by rendering to a 2x frame buffer and transparently scaling up at some cost of blurriness, while newer apps use @3x artwork and render natively at proper scale. Whee! WebGL is available in Safari on the iOS 8 and OS X 10.10 betas. In addition to Internet Explorer 10/11 (via Maik’s Flash shim), I now have audio working on iOS — and smaller video sizes actually play pretty decently on a current iPhone 5s as well! Try it out on your computer or phone! Older iOS 7 devices and the last generation of iPod Touch are just too slow to play video reliably but still play audio just fine. The latest 64-bit CPU is pretty powerful though, and could probably handle slightly larger transcodes than 160p too. 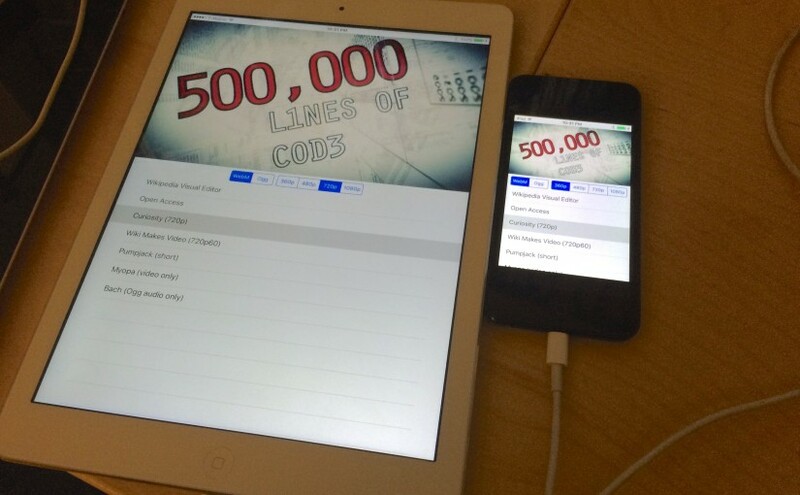 Latest demo screencast of Android and iOS new Wikipedia mobile apps in development — now with login and basic editing! I think folks are really going to like what we’ve done once we get these polished up and out in the stores replacing our old mobile app. 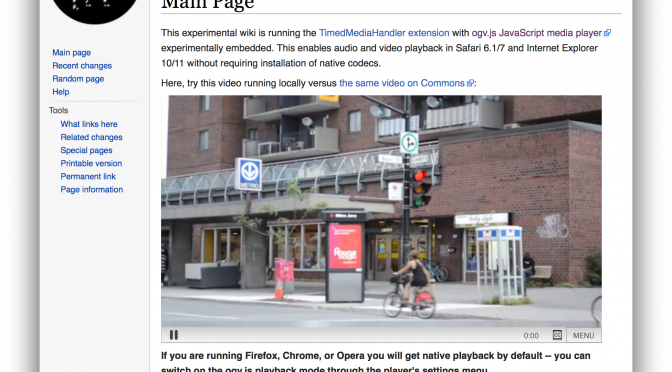 If the on-wiki embedded video player doesn’t work for you, try a mirror on YouTube. Thanks to Android 4.4’s built-in screen recording feature this didn’t require any custom hardware kit to record, but I had to jump through some hoops to edit it in PiTiVi… I’ll write up some notes on-wiki.